BT is set to open the first two high street stores specifically designed to show off the benefits of its Super-fast Total Broadband service this week. The first of BT's broadband show-and-tell shops will open up in Whitchurch near Cardiff, followed by one in Muswell Hill in north London. The stores are the first of their kind, being broadband-specific retail outlets which BT plans to use to invite the public to "experience the future of Super-fast broadband" for themselves. BT's Matthew Dearden, Marketing Director at BT Retail, says: "The BT Retail Super-fast Broadband shop in Whitchurch is the first showcase of its kind to hit Britain's high streets, with another shop planned to open in Muswell Hill, London, next week. "The showcase shows local people what Super-fast Broadband, currently being trialled in their areas, is all about and enables them to see demonstrations of a range of home and business applications that will enhance their lives." 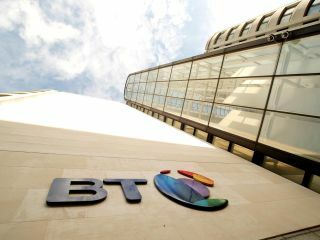 BT recently upgraded its top download speed up to 20Mbps and is set to install 1.5 million ultra-fast fibre-optic connections by 2010 which will hopefully see lots more Brits's broadband speeds hit those slightly more acceptable speeds of between 40 and 60Mbps.